I just thought I would let you have a sneaky peak at a few of my favourite sports challenges to date. I have been very fortunate to have done many and picking a token few was hard. 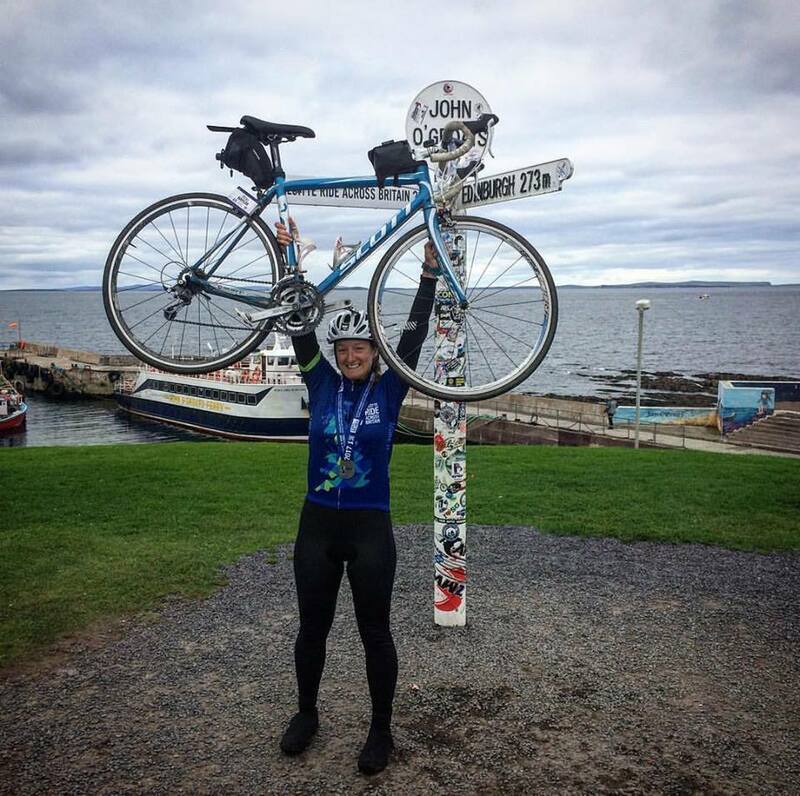 In September this year I Cycled from Land's End to John O'groats, 969miles in 9days with 800 other riders. The RAB event is so fantastic it is like riding with a big family of friendly supportive riders. I never thought I would be able to ride consecutive days of over 100miles per day. I did it! Words can not describe how happy I was at the end, maybe the picture explains the elation better than I ever could. The UK 1000's challenge was a challenge set up by myself and 4 friends from university. The challenge was to climb all the highest peaks in England, Wales and Scotland as fast as we could. There was of course pre-requisites, the mountains of England and Wales had to be over 3000ft and in Scotland 4000ft. We were aiming to complete the 29mountains and travelling in 120hours, but we managed to beat our estimations by 15hours. We were supported by one incredible man in his "Swiss-army Land Rover" as I called it. Therefore the pre-event charity fundraiser was for the 5 of us to cycle the distance apprx 450miles on a static bike in the middle of Cardiff. All in all with the pre-event and the main challenge we raised nearly £10,000 for The ABF, Tenuous and Mercy Ships. Race to the king was the first ever ultra-marathon I ran by myself. I absolutely loved the double marathon ultra! The course goes over the South Downs Way finishing in Winchester. It rained for most of the day but I managed to finish smiling in 11hours and 11minutes. It really inspired me to do more ultras, to push myself but make sure I am having fun, at the end of the day I am only do them for me.